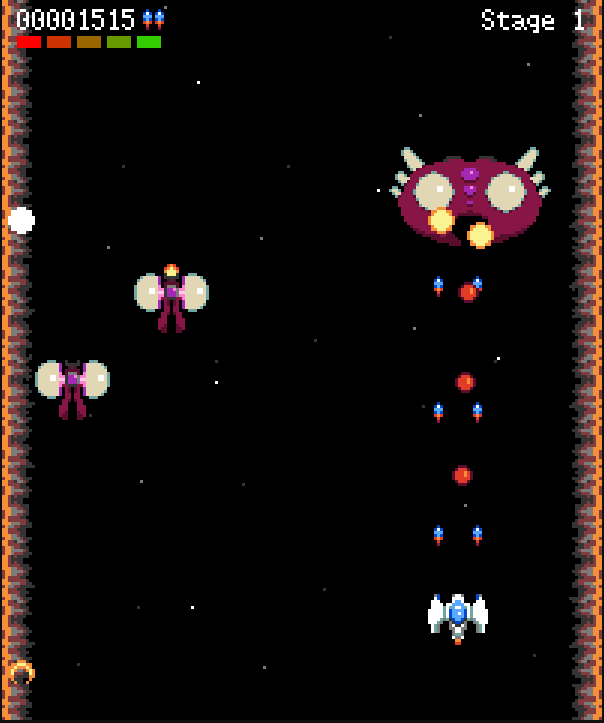 This is a shoot’em up game developed during January 2014 as part of my one game a month challenge. The game requires a modern browser with canvas 2D support and it’s been tested and verified to work fine with Chrome 32 and Firefox 26. Hardware acceleration is recommended, specially if you want to play the game in full screen mode. The game screen resizes automatically based on the window size, so try a smaller window if it doesn’t play smooth enough. Experimental gamepad support is available in Chrome. When your gamepad is detected, press the start button in your gamepad to use it (pad to move, button 1 to fire). You can download a mix of the game sound track (level and boss): Flax Sound Track (mp3). usebox.net by Juan J. Martínez since 2002. The website content is licensed CC BY NC SA 4.0, unless stated otherwise.